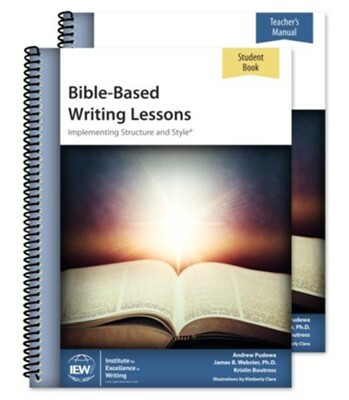 Increase your sixth to eighth graders' understanding of Scripture as they improve their writing abilities and learn to communicate timeless truth using actual Bible passages as source texts. Through a year of IEW units, children will build skills in notetaking, retelling narrative stories, summarizing references, writing from pictures, composing essays, and more. Includes vocabulary cards, literature suggestions, and access to PDFs. I'm the author/artist and I want to review Bible-Based Writing Lessons (Teacher/Student Combo).